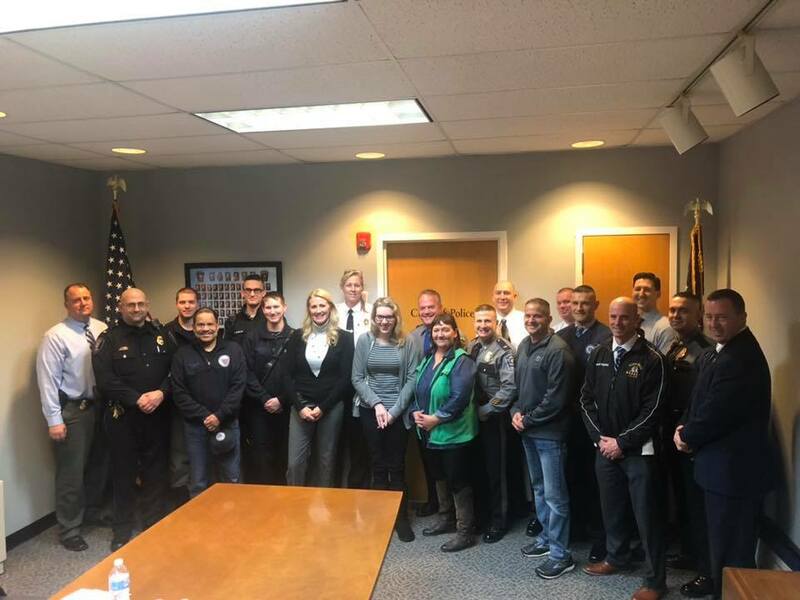 A huge shout out to Chief Parker and the entire Manchester Police Department for organizing and coordinating the multi-agency Ice Hockey Game Fundraiser for a wonderful cause and an amazing young woman! We all came together for Megan and were able to present her with a check to help offset the costs of her medical bills. On Friday, September 14, 2018, Megan Franzoso, an EMT, went into cardiac arrest for 45 minutes while at Community Medical Center in Toms River, NJ. Once a pulse was returned, Megan was flown to Temple University Medical Center in Philadelphia, PA, where she was in critical condition and spent time on life support in a medically induced coma. Megan was then moved from the hospital to a rehabilitation center where she spent some time learning how to walk and talk again. We are so happy to see Megan is doing well!